A beautiful bright and quiet studio apartment situated high above the city traffic and with open views from a large window. 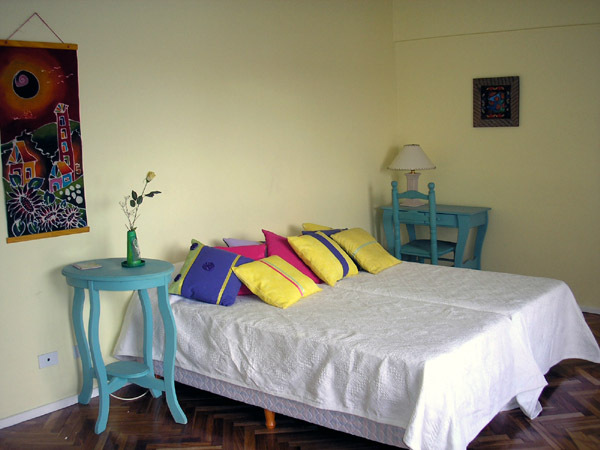 Located in palermo just 2 blocks from the nearest subway.It has 2 single beds and a small dining table with 2 chairs.It has a fully equipped kitchen and a bathroom complete with tub and shower. Hard wood floors very quiet and peaceful.Maid service ,cable tv system,telephone,fridge, kitchen utensils,towels bed linen.